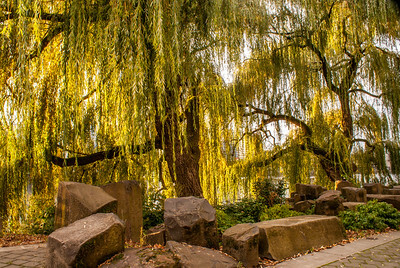 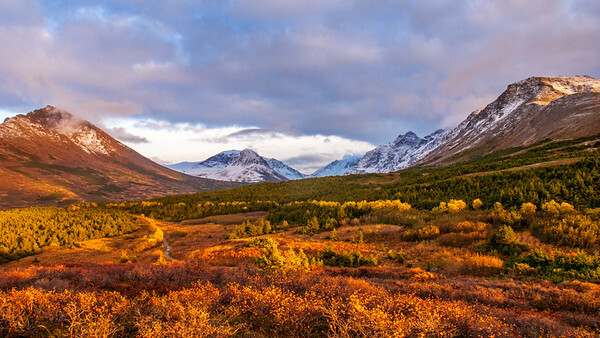 Photos of Autumn throughout the western United States and Alaska. 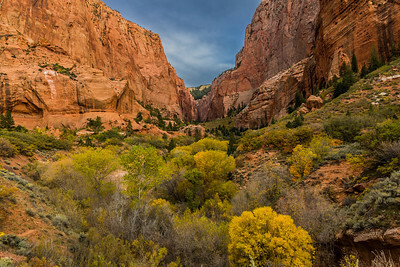 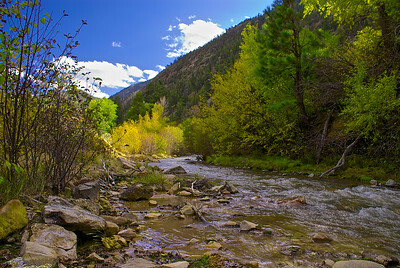 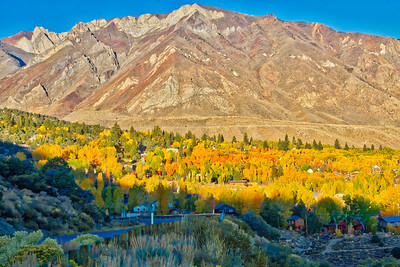 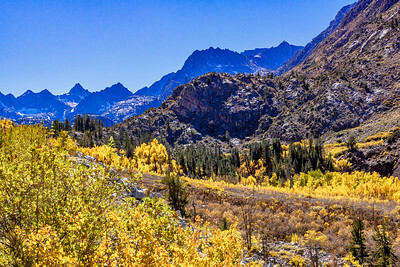 I captured this panoramic of the beautiful fall colors on the nine-mile road that slices through this glacier-carved canyon and Bishop Creek which is lined by aspen stands, campgrounds, rustic lodges, and footpaths, making it one of the best-loved autumns drives in Califo​rnia. 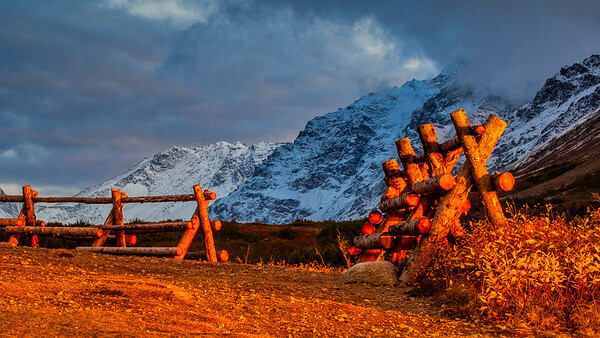 I took this photo at sunset from Glenn Alps Lookout in the Chugach National Park, Alaska with snow falling in the upper mountain elevations in the background. 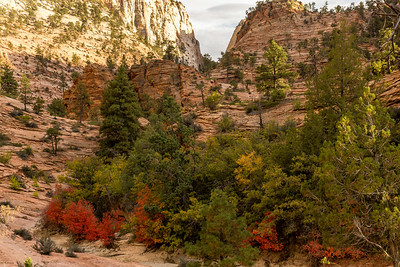 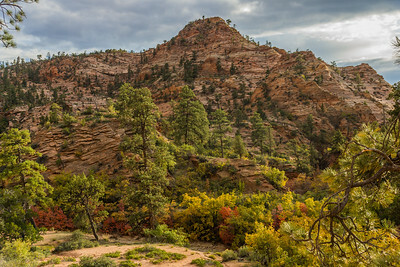 The red and orange colors from the sunset let up ground foliage that was​ changing into fall colors. 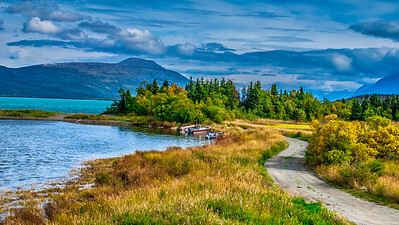 I captured this fall scene of Lower Summit Lake from Seward highway in Alaska. 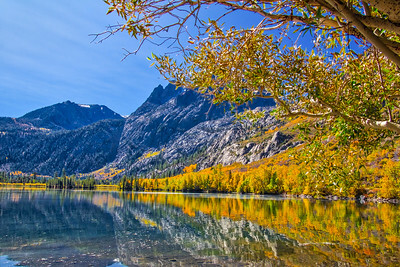 Lower and Upper Summit lakes support alder-willow edge habitats next to the white spruce forest and open alpine slopes. 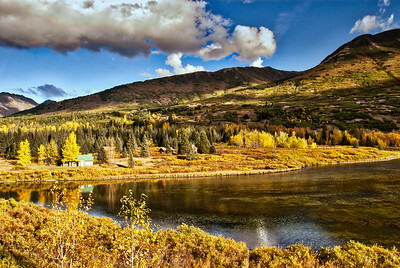 The lakes, located in the Chugach National Forest. 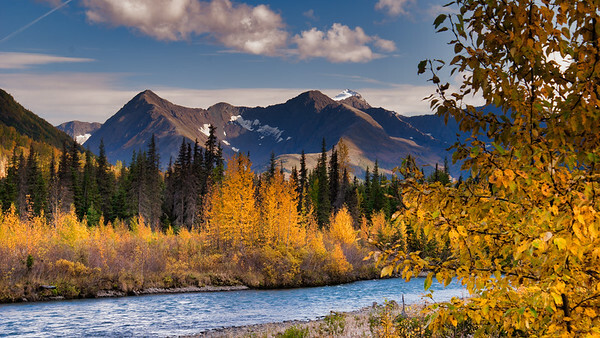 Moose forage in the meadows and wet areas and beavers reported​ building lodges and felling trees along the shore. 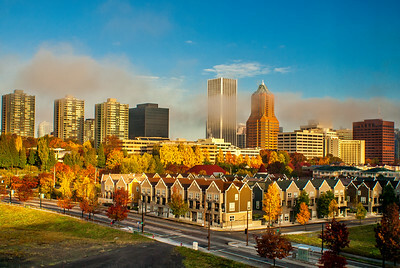 I capture this scene of beautiful autumn colors complimenting​ the Portland, Oregon skyline from my hotel room. 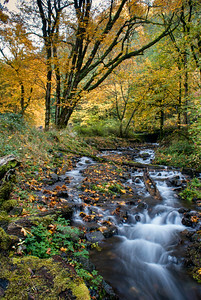 I captured this photo of an Overflow stream from Multnomah falls off of the Columbia River Highway near​ Portland, Oregon. 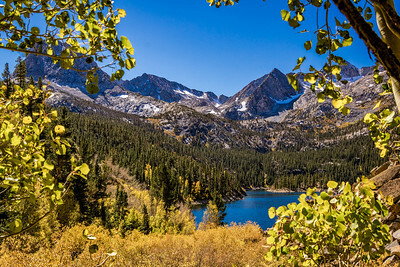 I captured this scenic view of Sotcher Lake in the Mammoth Mountain area in the California Eastern Sierras. 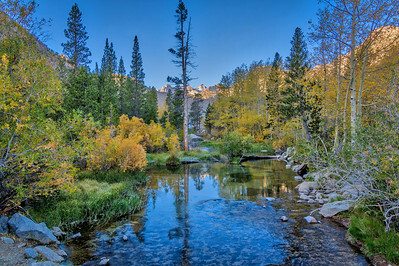 Sotcher Lake is a small spring-fed lake in a granite catch basin at the base of the western slope of Mammoth Mountain, the larger of the two lakes in the Reds Meadow Valley. 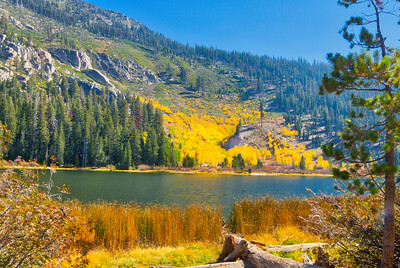 There is a 1.5-mile self-guided nature trail that provides an introduction to the flora, fauna, ​and geology of the upper San Joaquin. 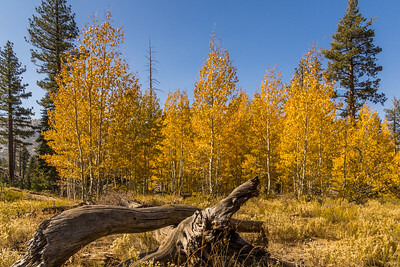 ​I capture this grove of fall colors on these aspen trees up in the Eastern Sierra Mountains near Mammoth, California.